President Vladimir Putin has said Russia will cement its military alliance with China, including an increase in joint exercises in the Asia-Pacific. The move follows a US pledge to step up its naval presence in Asia in a bid to extend its influence. "Recently joint navy exercises were held in the Yellow Sea, and they were the first of such exercises. 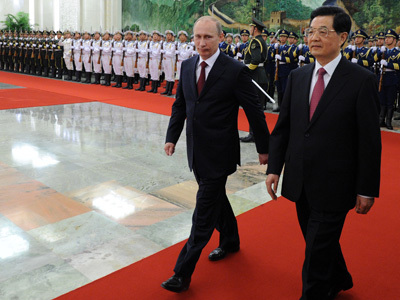 We have agreed with Chairman Hu that we will continue such cooperation," Putin said following a meeting with his Chinese counterpart Hu Jintao in Beijing. The Russian leader said that security in the Asia-Pacific region was a top priority for both countries and they will work together to further develop ties. 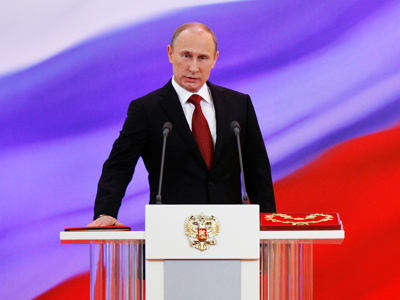 "We favor the formation of an open and equal-minded security and cooperation architecture in the region, based on the principles of international law," Putin said. 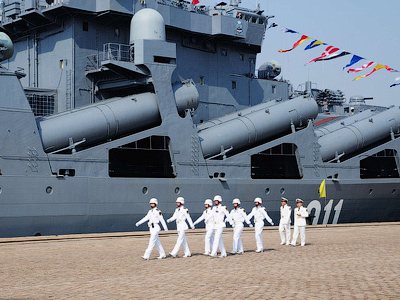 Russian and Chinese naval forces recently held six days of military drills in the Yellow Sea. The first drills of their kind, they included anti-submarine exercises and hijacked vessel rescue operations. Russia deployed four warships from its Pacific fleet for the drills with 16 Chinese ships and two submarines. 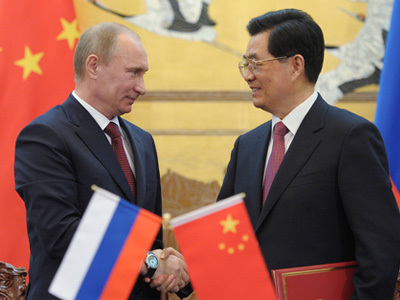 The strengthening of Sino-Russian relations also serves to counterbalance US influence in Asia. US defense minister Leon Panetta announced on Saturday that the US plans to step up its naval presence in the Pacific as part of the so-called “Asia re-balancing” initiative. Panetta has also announced that the US intends to cement military ties with India. The American government plans to maneuver 60 per cent of its battleships into the Asia-Pacific region by 2020. It currently has around 50 per cent of its fleet stationed there. China views an increased US military presence in the Asia-Pacific as a challenge to its own sovereignty and an attempt by America to curtail the country’s rise. 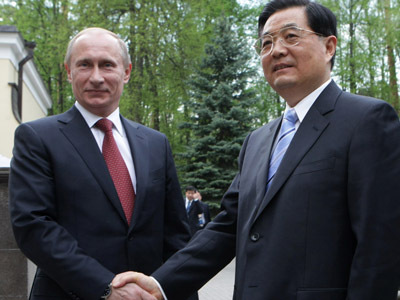 "China is Russia's strategic partner. 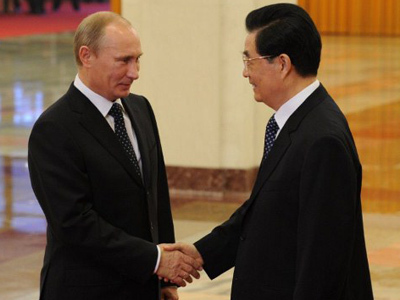 We enjoy mutually beneficial, mutually trusting, open cooperation in all fields," said Putin.